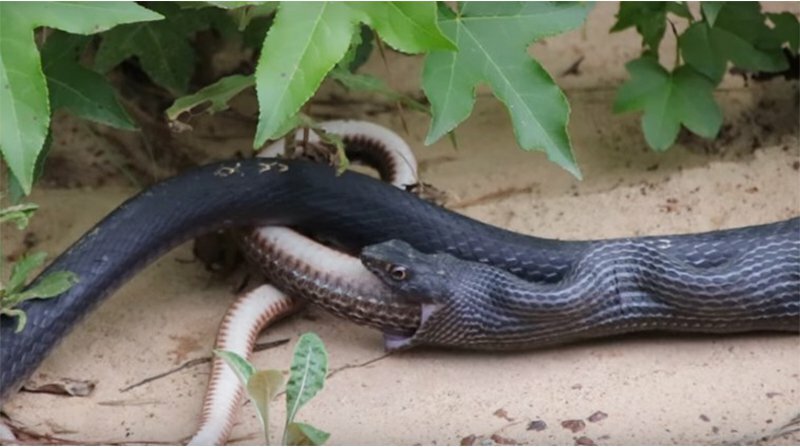 This video of a snake vomiting up another snake will freak you out! Could this be nature at its worst? Yikes! I think we can all agree that snakes are extremely freaky, but this video takes it to a whole new level of insane. Someone brave enough to film a snake vomitting up another live snake posted the gross video on YouTube. We just thought we would share this with you... just so you know that there are some crazy people out there... and that snakes are extremely weird.